As soon as Make in India has catch-up, financial blogs India is on a gear. After analysing we are publishing a list of “Top 10 – Best Personal Finance Blogs in India 2019-2020” who are really participating in spreading the knowledge on finance and making people aware of financial planning and how to manage your own finances. Truly speaking you must subscribe and follow these personal finance blogs which will keep you updated with the trend of the market. These blogs shares the knowledge in the categories of Financial Planning, Trading, Insurance, Income Tax, Stock Market, Business and much more. Who owns and manages personal finance blogs? Then answer is firstly, Financial Blogs managed by one or two authors. Secondly, Financial Blogs managed by multiple authors. Thirdly, Financial Blogs by service companies and fourthly, Financial Blogs by product companies. Here I present the list of “Top 10 – Best Finance Blogs in India” which have higher trust flow and ranking by google and they are been followed by large number of visitors. Mostly people are looking for best finance blogs for beginners in India. Let us now directly jump to the main topic and discuss about best personal finance blogs India 2019. Moneycontrol.com is one of the India’s leading financial blogs for Live Stock Price, Stock / Share Trading News, Sensex, Nifty, Stock/Share Markets Tips, Commodities, IPOs, Companies Information and much more. Moneycontrol is an Indian business news website owned by a subsidiary of the Reliance Industries. It also provides an expanded personal finance platform for best credit card management, banking, transaction related information. 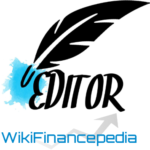 Wikifinancepedia.com assist there visitors and follows in various number of categories like: Personal Finance, Financial Planning, Investment, Budget and Savings, Insurance, Banking, Retirement Planning, Mutual Funds, Trading, Wealth Management, Business Planning, Tax Planning by ways of tutorial courses, e-learnings, e-books, quizzes, glossary, q-a forum / community, articles and much more. Not because we are the one but we have been recognized by various financial clubs for best finance blogs for beginners in India through simple and easy to understand financial tutorial courses. Jagoinvestor.com is founded in 2007 and it is also one of the good place to learn personal finance. They are one of the best and most trusted online financial blogs in India by providing information on financial planning, mutual funds, insurance services and much more. They also conduct financial workshop and classroom sessions across various parts in India. Relakhs.com is one of the top personal finance and financial literacy blog in India. This blog is been created by one of the financial advisor where his team provides information on Stock Tips, Investing, Tax Planning, Savings, Insurance and much more. Raviraj started moneyexcel.com with a view that even urban Indian should be aware about financial products, manging personal finance. Money Excel, excels in financial planning, insurance, personal finance, investment, real estate, stock market and various other financial products. Safalniveshak.com in hindi means successful inverstor. They provide simple and smart ideas on value investing in India. They provide information based on value investing course and value investing newsletter to help you make money in Indian stock market. Financegab.com is another one of the best personal finance blogs and Investment advisors. This blog is been established in 2017 and its one of the best place where you can share your ideas about Insurance, Investment, Loans & Credit Cards, Tax Planning and more. Marketvein.com is one of the best site for guest blogging and publishing articles on entrepreneurs, businesses and more. They provide knowledge on Insurance, Investment, Mutual Funds, Business and much more. Tflguide.com is owned by Hemant Beniwal is a Certified Financial Planner. TFL refers to The Financial Literates. TFL offers various services in Financial Planning Like: e-books or you can book your appointment and consult regarding your financial queries and more. Onemint.com is again a best financial blog in India related to personal finance, financial planning, technology and economics. This blog helps you to take better financial decisions. There will be many more best personal finance blogs in India but this are few of the finance blogs in India which I like the most. Let me know in the comment section, if there are any new blogs which you like the most. I will always be waiting for your valuable feedback on this list of Top 10 – best personal finance blogs in India. Do write us and share your experience with us. You are amazing and you have Fantastic web site. Lots of helpful info here. I liked it, so now i’m following you. Look forward to looking over and over after bookmarking your webpage. Thanks! You are Awesome guys, I liked your’s page on personal finance websites. Many thanks! Pretty! This has been a really awesome post on personal finance websites. Thank you for providing these details.